In this tutorial we will show you how to install and configuration of PPTP VPN on your CentOS 6 server. 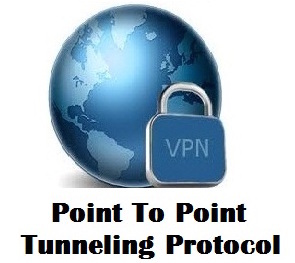 For those of you who didn’t know, The Point-to-Point Tunneling Protocol (PPTP) is a method for implementing virtual private networks. PPTP uses a control channel over TCP and a GRE tunnel operating to encapsulate PPP packets. The PPTP specification does not describe encryption or authentication features and relies on the Point-to-Point Protocol being tunneled to implement security functionality. We use PPTP because it is supported natively on almost all devices, Windows, Linux, Android, iOS and Mac OS. This article assumes you have at least basic knowledge of linux, know how to use the shell, and most importantly, you host your site on your own VPS. The installation is quite simple. Here is the steps to install PPTP VPN on CentOS 6. #To make the changes to sysctl.conf take effect, use the following command. Congratulation’s! You have successfully installed PPTP VPN. Thanks for using this tutorial for installing PPTP VPN on CentOS 6 system. For additional help or useful information, we recommend you to check the official PPTP VPN web site. Related Posts of "How To Install PPTP VPN on CentOS 6"